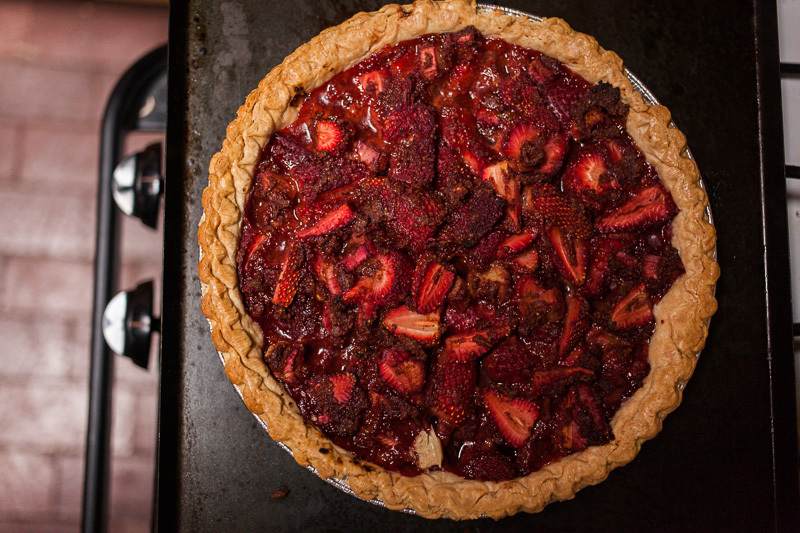 The Lazyman’s Strawberry and Rhubard Pie continues in a series of non-camping-related recipes. Except that a cyclist’s gotta eat, and it’s always good to have a few quick and tasty recipes up your sleeve; a perfect way to thank Warmshowers hosts and the like. It’s so called because the crust (spelt, in this case, from Whole Foods) is ready made. Shame on us! And, because it’s super easy to throw together. But that’s ok, because it still tastes delicious, and you can bask in the knowledge that, relatively speaking, it’s not a refined sugar fest. 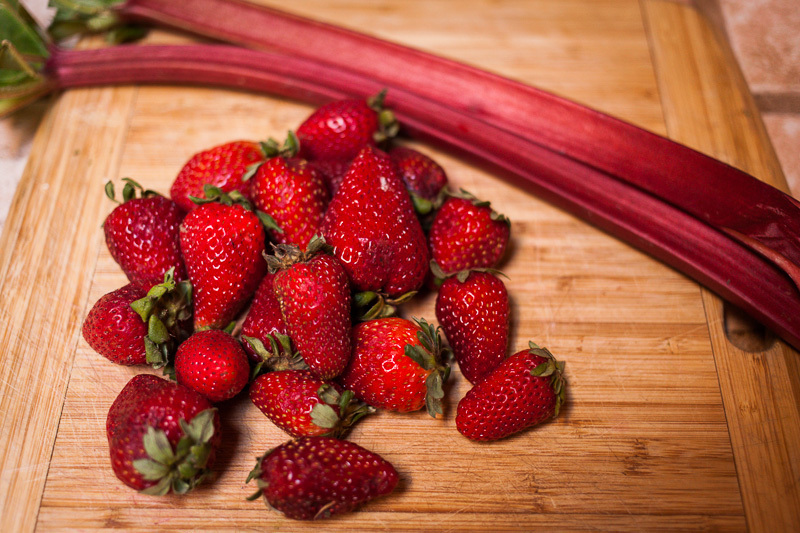 Being in season right now, the strawberries and rhubarb make for a lovely splash of colour. Warning: it can be kind of gloopy, and won’t win any serving awards. But you’ll forgive it once you take your first gulp. Preheat oven to 400F. 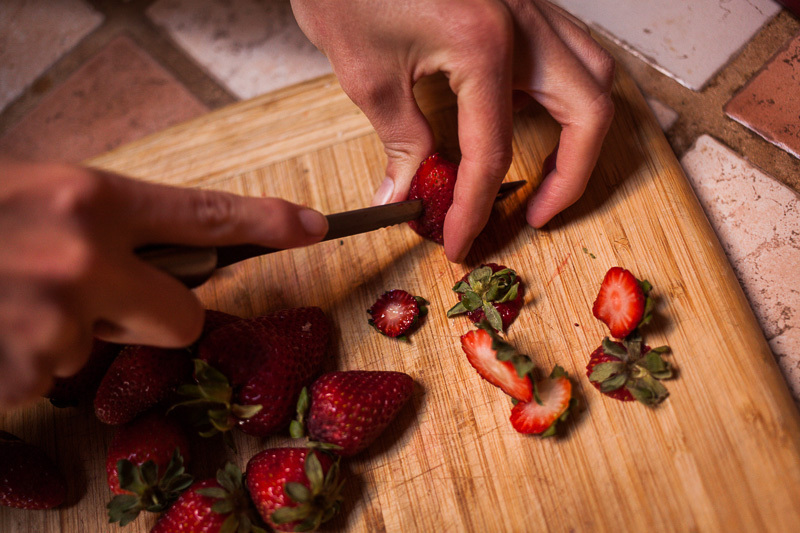 Chop up strawberries and rhubarb, nice and small. 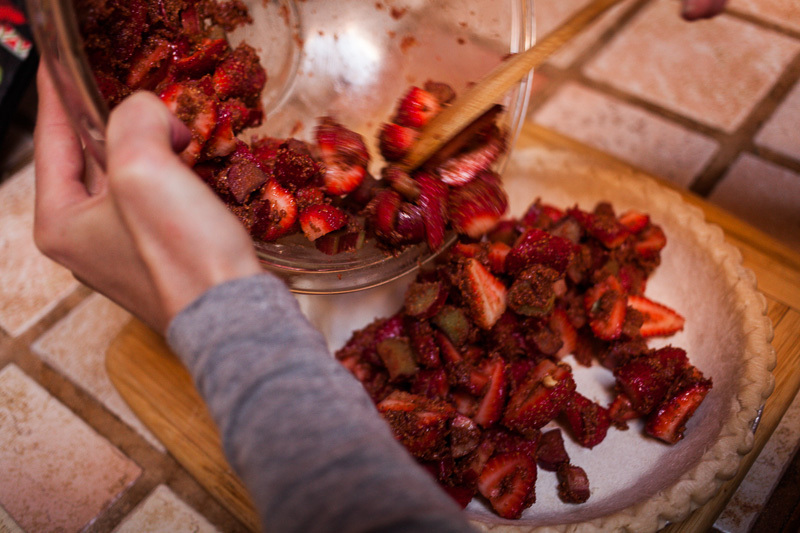 Place in a bowl, mix with date sugar and lemon juice. Spoon mix into the pie crust. Cover with foil. Pop in the oven for 20 minutes. 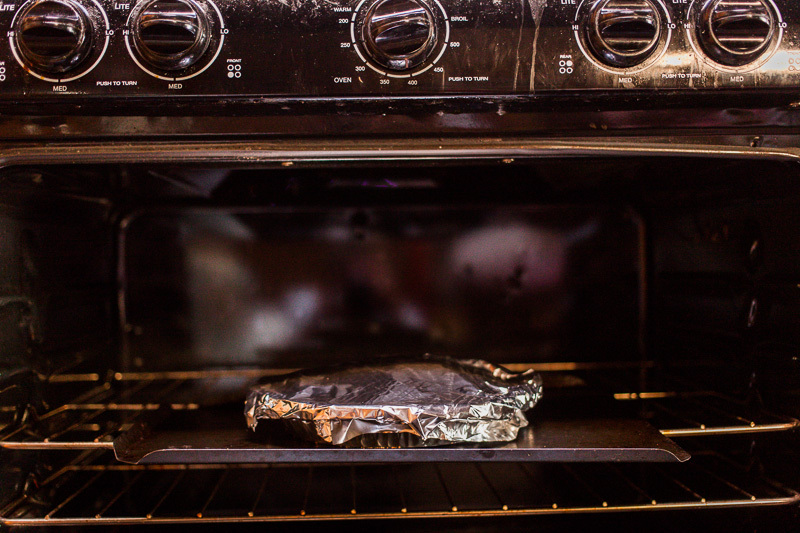 Remove the foil, reduce the heat to 350F, then pop back in for another 20 minutes. Allow to cool, then serve! 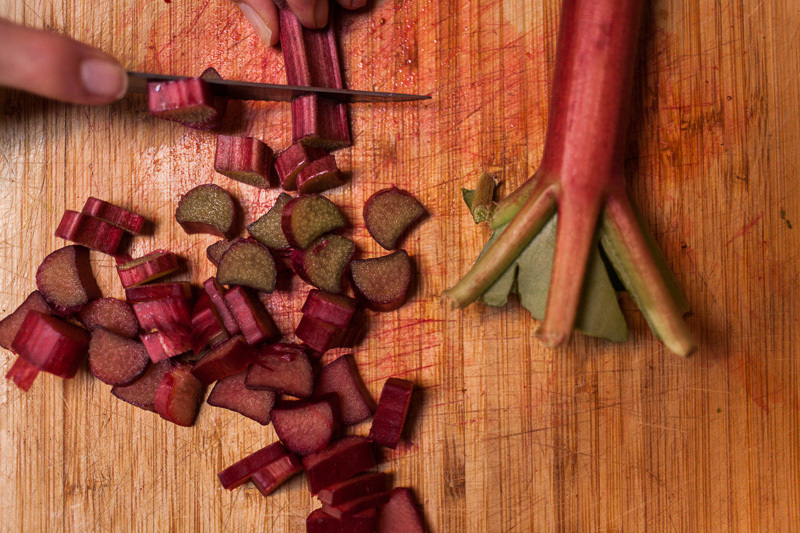 It’s that time of year: plump strawberries and fresh rhubarb a plenty. 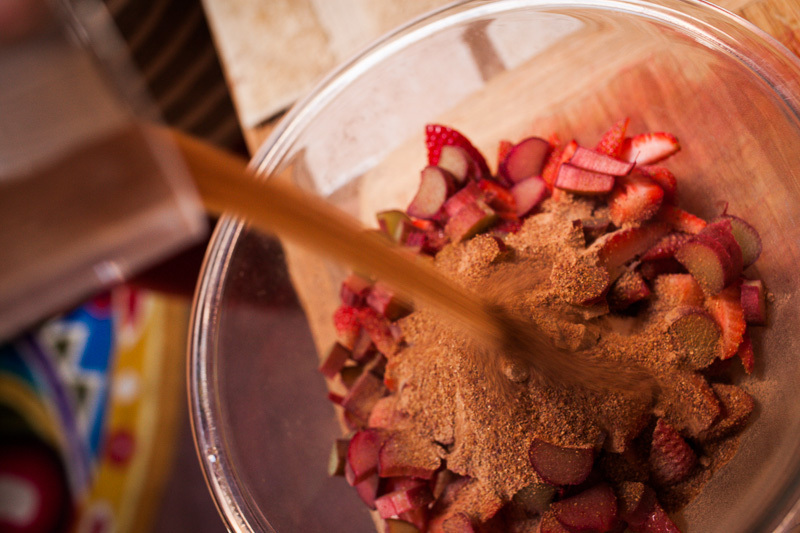 Mix in the date sugar. 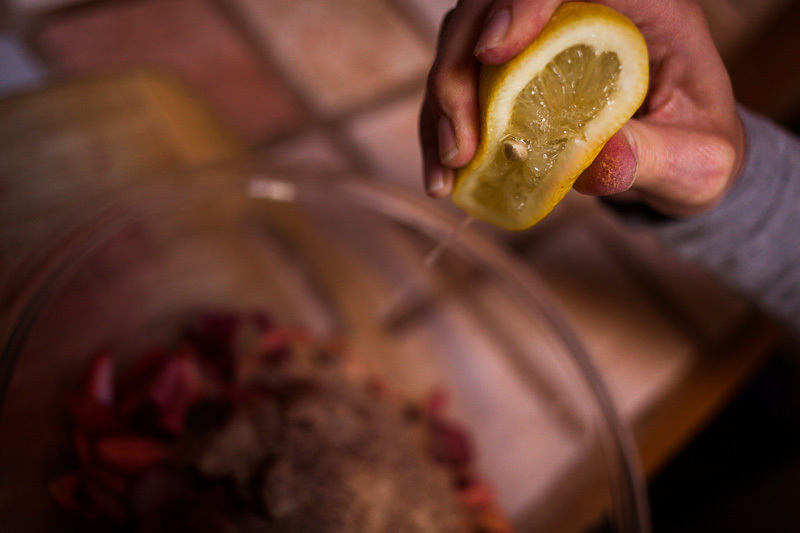 Give it all a good stir, then spoon into crust. Into the oven it goes. 20 mins at 400F, then 20 mins at 350F, with the foil removed. And hey presto. Allow to cool, then devour. 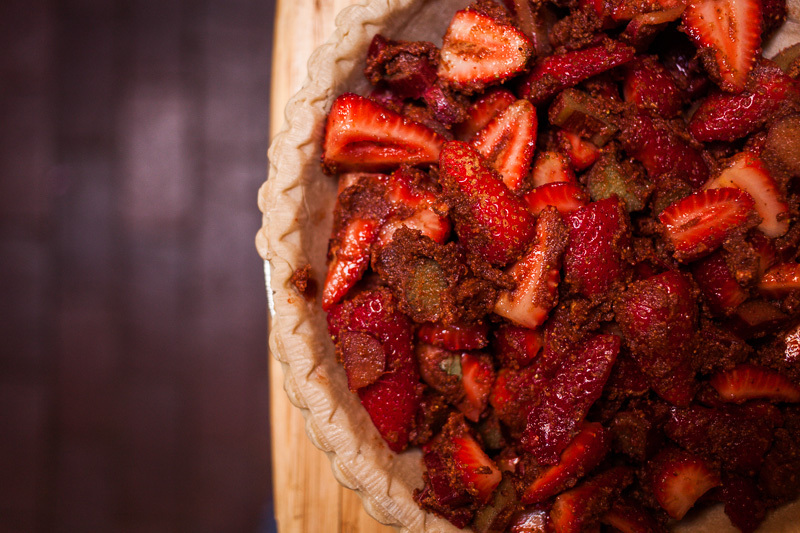 This entry was posted in Recipes and tagged pie, rhubarb, strawberries on May 23, 2013 by Cass Gilbert. Less, I think, depending on the sugar. Date sugar has 3g of sugar per tea spoon. Looking online, regular sugar has 4-8g. So maybe 1/2 to 2/3rds of a cup. Thanks Cass. I’ll give you feedback on how it goes. Ps- like the devour part! Having just been into Whole Foods, it seems a pint is 1lb. I thought that’s what those containers were called in the US. In the UK, they’d be punnets. So, about a couple of pounds, give or take!